I got glasses when I was in the first grade. I wore glasses every day until I got contacts in the sixth grade. Contacts were fine but I could not wear them all day. Plus, allergy sufferers and contacts are not a good mix. Especially in the spring. I battled through glasses and contacts until I was 27. That’s more than 20 years of glasses and contacts. The two things that I struggled with the most were traveling and playing sports. It was such a hassle wearing glasses/contacts for those two events. I also hated not being able to wear sunglasses when I was wearing my glasses. I spend a lot of time outdoors so the lack of sunglasses was a definite problem. Why did you decide to have Laser Vision Correction? Waking up and being able to see is so refreshing. My vision is better than it ever has been. How would you say Laser Vision Correction has changed your life? Lasek has changed my life because I now never even think about my eyesight. That is a huge compliment. I used to always be thinking about whether or not I was going to wear my glasses or contacts…if I was traveling making sure I had enough contact solution…etc… etc… Now, I go days and weeks without ever thinking about my eyes or my eyesight. And that is a huge compliment to the lasek procedure. If someone asked you if you would recommend Laser Vision Correction what would you say? I get it that having a surgery on your eyes is not a minor event. Our eyes are so vital to our lives. It makes total sense to have some apprehension about lasek. But once you have the testing done…and once you find out if you are a candidate…then you should be fully confident in this procedure. 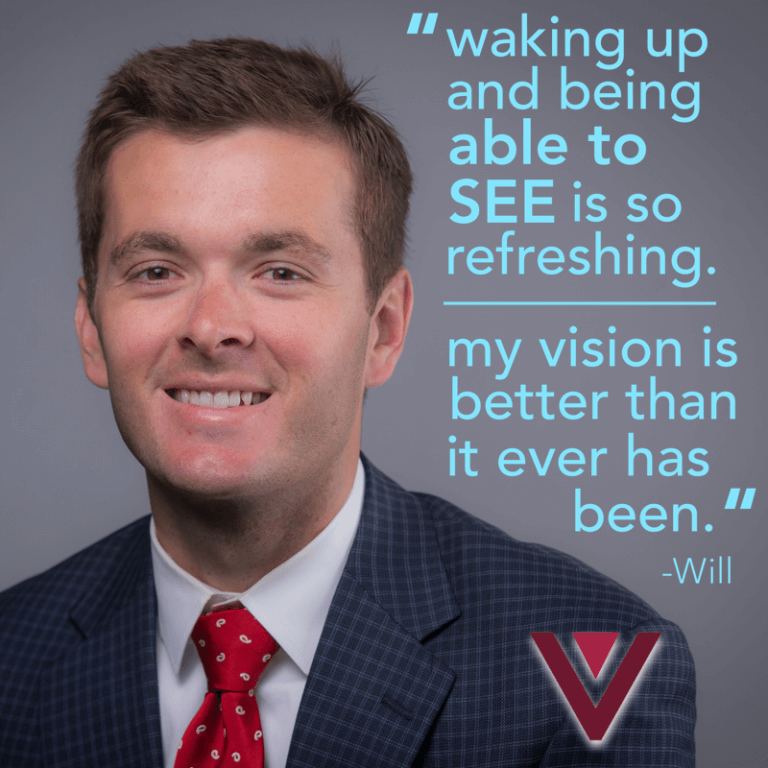 Why did you chose Vold Vision for your procedure? I found great comfort in knowing that Dr Vold has done more lasek than anyone in Arkansas. Plus, they are the official eye care providers of the Arkansas Razorbacks!!! Do you feel the cost is worth the benefits? Absolutely! This procedure is life changing! If you had it to do over again, would you have had Laser Vision Correction sooner? Yes, looking back on it I often laugh about all those years I struggled with contacts and glasses. I was fighting a battle that could have been easily resolved. And, thanks to Vold Vision, now it is.